Home Recommended Publishing Afghanistan: white flag? The assessment request to withdraw by the year the Italian soldiers from Afghanistan made by Minister Trenta has two sides: that of defeat and - finally (but no one will admit it) - that of his public recognition. What has instead been the subject of controversy in the last days? Shape. The political implications with an foreign minister who answers "I did not know anything" and the defense that replies "If I ask the COI (Inter-force vertex operational command, ed) to evaluate, and I emphasize to evaluate, the start of a planning for the withdrawal do not think I have to inform the Minister Moavero, because it falls within my prerogatives ... ", have diverted attention from the real underlying problem. The failure in Afghanistan is absolutely nothing new lately. It took three decades and a commitment to ruin entire generations of Afghans a dream: to stop killing each other. As much as we try to match the Defense Minister's exit to the talks with Taliban leaders in Qatar, the truth is that, for at least 10 years, Afghanistan is out of control. The US negotiations with the Taliban and the related "evolutions in progress" are a mockery. Certain fanatical assassins represent only a minority within a minority of the population. In Afghanistan, on the other hand, such abuse is a tradition: the pastho, a tribe to which most of the Taliban belongs, for centuries contacts (with lucrando and obtaining privileged positions) contacts with foreigners. Today that minority proves to be so cunning as to be able to manage "officially" both the government power and the armed opposition on the ground, a reality much more complex. What has been done (in a nutshell) internationally in the country? Reverse billions of dollars: some of which have taken (or re-taken) the way of Gulf countries. Exported democracy? The voters were promptly defrauded. Afghans have often risked their lives to go to the polls and have seen "managed" the result most liked by others (v.articolo). Did we get an economic advantage? The missions from the 2001 cost almost 7 billion. 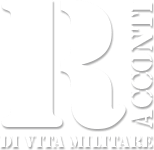 Italy has seen the blood of 53 military and a cooperator, in addition to that of hundreds of injured and permanent disabled. Should we therefore stay in Afghanistan? Years ago I met a "survivor" in the Bamiyan valley. A few years before the 2001, its small village had been joined by a group of Taliban. The village was of Shiite believers, therefore, for the self-proclaimed "tremendous infidel" Quranic students. The Taliban commanders had nevertheless been extremely reassuring when they arrived: "We are all brothers, you do not have to fear anything!" The skeptical man had fled to the mountains during the night with his wife, children and elderly parents. The following morning 140 people among men, women and children were brutally slaughtered. And it was a village of a few houses. Guilt of religion? Excuse banal and abused: all the belongings of the victims were looted. To the question "if they come back would fight? ", The old man replied that "to kill a man means to deny everything in which I believe!". That's why we are in Afghanistan. I told myself then. That's why we should stay. I tell myself today. A soldier does not ask to live without risk but - if necessary - to die for a just cause. Other than Russia and Iran: Italy has been under economic sanctions for years but nobody tells us! A supercazzola (announced) at the summit of NATO defense ministers?